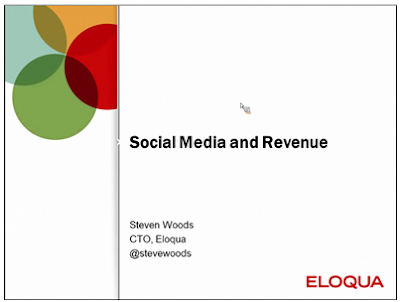 When I gave a presentation on Social Media and Revenue at Eloqua Experience recently, I was blown away by the great reaction to it. I wanted to dig in a bit into where social media is in most of today’s businesses. In a lot of ways, social media today is like “digital” a decade ago. There was a wide recognition that you had to “do digital”, but it was very much separate from “marketing”. Social media today, in a lot of organizations is like that. There’s marketing, and then there’s “social media”. In this presentation, I wanted to dig in a bit and showcase (with a lot of hands-on demos), how social media can drive actual revenue in businesses today. I just took a flight on Virgin America from San Francisco to Toronto. With the holidays, Google Chrome and Virgin America have teamed up to provide inflight WiFi for free, so I was more productive on the flight than any flight I have taken before. I’ve become a big fan of Virgin America as they seem to be innovating quite a bit on the inflight experience. At the same time, an interesting thing happened that caught my attention and made me wonder about their innovations in the marketing realm also. While it might have been a coincidence, I suspect that it was not and they are pushing the frontiers of cross-identity marketing. I purchased a meal on the flight (seat-back TV with touch-screen food ordering, nice. ), and as part of that I asked for a receipt, and typed in my email address. I’m always a fan of seeing what various companies do with their marketing, so I provided permission to include me in their marketing database. Sure enough, within 30 minutes, Twitter notified me that Virgin America was following me. As I had just engaged with them, this was not something I saw as intrusive, so I of course followed back. Now they have opened up a new channel of interaction with me. Technologically, I’m guessing this was fully automated. Their follow notification says they use Sprinklr, which may offer this capability, I’m not sure. Regardless of the exact technology used by Virgin America in this case, the concept is simple. All that is needed is to recognize the match between different identities (my email address and my Twitter handle), and then follow. The point, however, is interesting. People today exist, and communicate across many different identities. The role of marketing is essentially one of communicating based on understanding of a person and their identity. If you, as a marketer, in B2B or B2C are not doing your best to jump on opportunities to identify different identities, and then take the needed steps to engage, you may be missing a significant opportunity to broaden your engagement with your buyers throughout the overall revenue engine. Are you, as a B2B marketer, exploring techniques similar to this? Do you identify and engage with your buyers across a broader set of identities than you did before? Is it working for you? 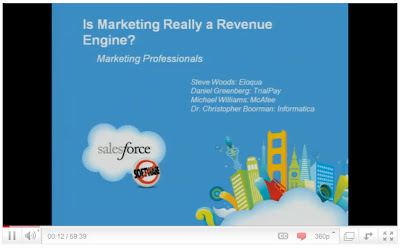 Can Marketing Really be a Revenue Engine? It's a key question in today's business environment - can marketing really be a revenue engine, or is this current energy around marketing driving revenue just a fad that will blow over. I was truly honored to host a panel at Dreamforce to discuss that question with three of the very best in the field. In this panel discussion, Michael Williams of McAfee, Daniel Greenberg of TrialPay, and Chris Boorman of Informatica dug into the question from three very interesting angles and showed exactly what they had done in their respective businesses to rethink marketing as a revenue engine and drive business for the organization. If you've been thinking about marketing automation as an investment, wondering what the excitement is over the new revenue performance management space, wondering how you can take your own team forward, or looking for some interesting metrics and KPIs on marketing's performance, this video is worth the watch. If you find this presentation interesting, or want to look more deeply at some of the metrics that were talked about feel free to have a deeper look at how each revenue engine was build by looking at it on SlideShare. 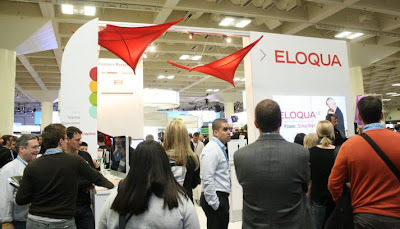 Last week I had the pleasure of wandering the floor at Dreamforce, Salesforce.com’s annual conference. As the SaaS conference of the year, it’s a great time to get a pulse on how everyone is thinking about the next few years. This year, I spent a lot of time talking with the exhibiting ISVs, both large and small, and as I did so, I found a few key themes that resonated. 1) Data is Increasingly Critical: One clear trend was the increasing importance of data to those focused on driving revenue. Both as a source of new conversations, and as a source of continually updated insight into a buyer’s fit, data is one of the most important RPM stories of the next few years. Salesforce.com has clearly made a significant investment in this area with their acquisition of (and deep integration of) Jigsaw as a data cloud, but folks like Hoovers, D&B, and StrikeIron were very present on the show floor with data sourcing, append, and cleansing services. 2) Communication Contributes to Buyer Insight: There were many vendors who provided communication tools, ranging from PDF trackers to videoconferencing tools and Webinar providers. This was not new, but in each conversation with these providers, including Vitrium, ReadyTalk, iLinc, and more, their focus was on how the use of that communication tool by a buyer can provide rich insight into a buyers intentions. By leveraging attendance data as a key part of a buyer’s digital body language, marketers and sales people are much better armed. 3) Integration Must Be Seamless: Salesforce.com has long focused on the need to seamlessly tie together all interactions with customers, and this viewpoint is spreading throughout the entire buying process. 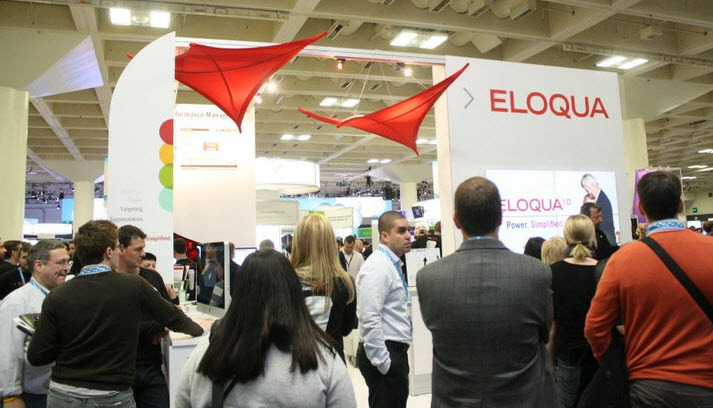 Integration providers like Cast Iron, Informatica, and Pervasive had packed booths as visitors looked to understand how to seamlessly tie together every pre-purchase interaction, whether in social media, search, webinars or in any other communication vehicle. I have never been more excited about the RPM space, and seeing the breadth of solutions on display at Dreamforce tells me that others quite definitely share this excitement. 2011 will be an exciting year indeed. Cartoon: Who is creating content for your company? Today's my first attempt at cartooning (okay, not really, all the hard work was done by gifted cartoonist Brady Bonus). I hope you enjoy it! Digital Body Language is a blog about B2B Marketing and Demand Generation. I cover a range of topics from lead scoring and nurture marketing to the effect of social media on B2B marketing and marketing analysis. Some of the topics on this blog are related to topics in my book of the same name, Digital Body Language, and some are related to my experience working with our clients as CTO of Eloqua.